Following the launch announcement at Eurobike 2018, Muc-Off – a leading manufacturer of bicycle cleaning and maintenance products worldwide – has now made its new Women’s Chamois Cream available to buy. Expanding its Athlete Performance Range, Muc-Off has designed and developed what is being billed as ‘the ultimate, high-performance Chamois Cream specifically for women’. The female-specific product is pH-balanced, uses natural fragrances, is antibacterial and suitable to use on sensitive skin. Working closely with partnered pro cycling teams, the Muc-Off Athlete Performance R&D staff have developed a formula to ‘deeply moisturise your skin for total riding comfort and protection, over long distances and in all conditions’. 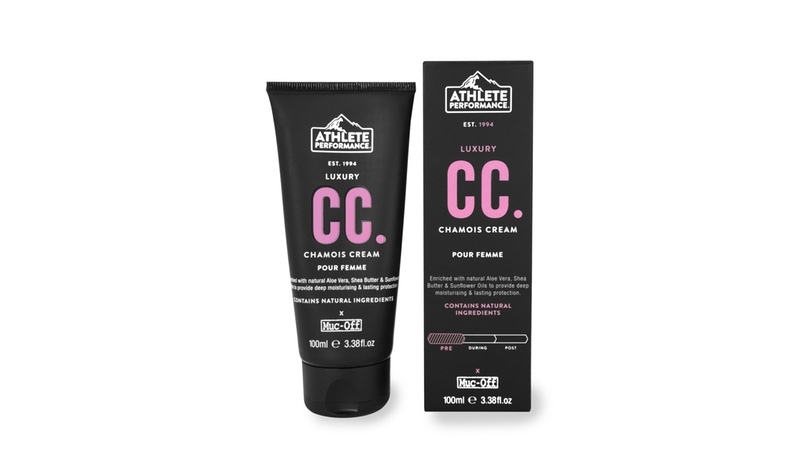 The chamois cream is also enriched with provitamins and creates a mild cooling effect for riding comfort. With an RRP of £13.99 / €16.95, and available to buy as of today (15 August 2018), the Muc-Off Women’s Chamois Cream comes in a handy 100ml travel-friendly tube. Founded in Poole in southern England, Muc-Off has been developing care and maintenance products for those with an active lifestyle since 1994. The business produces over 150 products for sports industries that are distributed across 55 countries and counting. With a wealth of experience in the cycling industry and partnerships with the likes of Team Sky, Trek Factory Racing, Sir Bradley Wiggins and British Cycling, the company adds that it is ‘committed to bridging the gap between adrenaline-fuelled sports and quality care of equipment’.